Most Americans care about the welfare of animals and want the best for them. Most of us tend to only think about what effects us personally and we only really think about animal welfare or animal control issues if we are affected by them in some way. 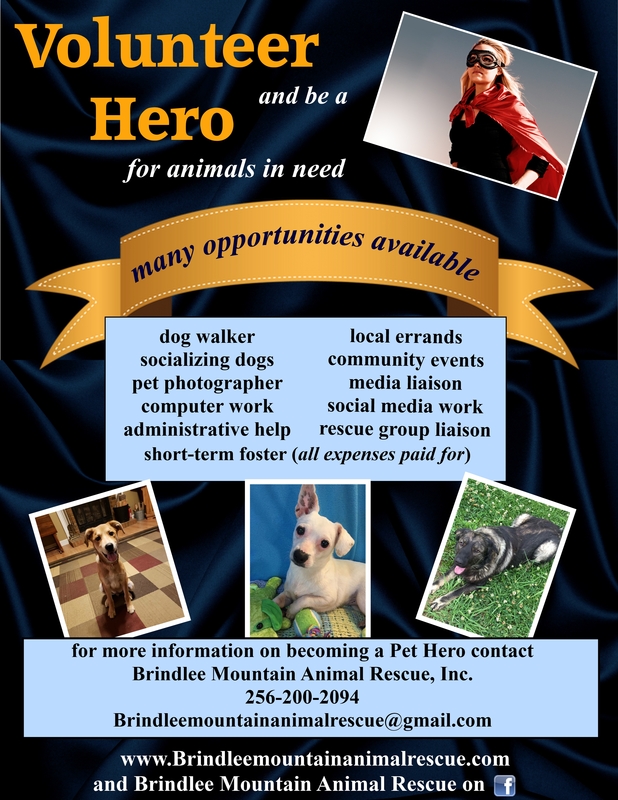 If you came to this website because you are interested in learning how to make better personal choices and want better for animals in Marshall County, there are a number of things you can to do help. When we all make better personal choices, that affects others around us, including our companion animals. SPEAK OUT about issues which relate to companion animals in our community. If you believe we should have an animal shelter or stronger local laws regarding animals, speak out and tell people you know, including local elected officials.. Only when you make it clear that you value the lives of homeless animals will those lives become a priority. ADOPT or RESCUE your next companion animal. Although many people have come to believe that shelter and rescue animals are somehow "damaged" because we have historically destroyed so many, that is rarely the case. The truth is that most of them are simply homeless or lost and are victims of our poor choices. When you are considering bringing an animal into your home, adoption really is your best option, even if you have your heart set on a particular breed for some reason. You can see our available animals on our Petfinder page. If you don't find an animal you are interested in there, you can do a search on Petfinder by location, species, breed, age, etc., to find an animal perfect for you. SPAY and NEUTER your pets. Many people are surprised to learn the health benefits of having companion animals altered, not the least of which is an extended life span (between 2 and 3 years). If you’ve ever lost a beloved companion animal to age or disease, you know the heartbreak of that loss. Given the choice, would you add years to your pet’s life if you could and keep them healthier? You can through spay and neuter. By having your pet altered, you also reduce the pet population in the community and prevent the needless destruction of puppies and kittens. MICROCHIP your pets. Microchipping is a fast and inexpensive way to make sure your pet can be returned to you in the event of an accident or a natural disaster. A small chip, about the size of a grain of rice, is injected by a veterinarian under the skin at animal's neck, at the base of the spine. The chip contains a unique number, much like a bar-code, which can be scanned to determine who the animal belongs to. Although many people may think microchipping isn’t necessary because their pets live inside or are never unsupervised, think back to how many pets were lost after the April 2011 storms. Thousands of animals were displaced from their homes and there was simply no way to identify who owned them. Microchipping can also increase the odds of having your pet returned to you if he or she is stolen and ends up in the hands of law enforcement officials or at a shelter. KEEP your financial SUPPORT LOCAL. If you want to support an animal welfare nonprofit group, the only way to make sure your donation stays local is to donate locally. If you want to help animal welfare causes by making a tax deductible donation, you can do so right where you live. The amount of your donation does not matter and no donation is too small. If you cannot donate money, you can also donate items you may have in your home which you no longer use like old towels, old blankets, newspaper, used dog or cat beds etc. CONSIDER FOSTERING an animal if you aren't ready to adopt or just don't want the long-term commitment. We have a lot of people in our area who would make great fosters - military personnel, students, retirees. You can help save the life of an animal simply by opening your home for a short period of time whether it is for neo-natal kittens, puppies, an animal undergoing some form of treatment, an animal who needs to learn how to live with people or just an animal who needs a bit of extra time to be adopted. Animal Control always needs fosters and most of our local rescue groups place animals in foster homes until they are adopted in order to socialize them and make them "adoption ready." If you are interested in fostering an animal, please contact us. VOLUNTEER to make a difference. There are a wide variety of ways you can volunteer to help animal causes in the community whether you volunteer to help animal control or with a rescue group. You can help dogs by taking them for walks, brushing them or simply spending time with them so they are part of a "pack." You can help cats by cleaning cages, changing litter boxes and providing social interaction simply by playing with them or spending time with them. You can also volunteer by transporting animals to an adoption event or to a spay/neuter clinic or by taking an animal to a veterinary appointment. If you choose not to interact with animals directly, you can still volunteer in a number of other ways, some of which are remote tasks you can do from your home. If you are interested in volunteering, please contact us. NEVER ABANDON your pet for any reason. When you got your pet, regardless of the circumstances, you made a commitment for the lifetime of the animal. Even if that later proves to be a mistake for some reason or simply becomes a commitment you cannot sustain, it is up to you to make arrangements for the care of your pet. Although our pets are animals, they are domesticated and simply cannot survive on their own. Abandoning your pet by "setting it free" to fend for itself is illegal. Leaving your pet at the doorstep of a veterinay office or clinic is also illegal. It is up to you to take steps to resolve the situation responsibly even if that means re-homing your pet with the help of friends, contacts or social networking. DO NOT TRY TO SURRENDER your pets to animal control without exploring all other viable options to either keep your pet or re-home your pet yourself. Please do not make your decision in haste or when you are in an emotional state, feeling as if you have no choice. If you take some time to simply slow down and educate yourself on alternatives to surrendering your pet, you may be able to 1) re-home your pet yourself using email or a social networking web site; 2) place your pet with a friend or family member temporarily until a housing or financial situation is resolved; 3) get free dog or cat food from a local pet food bank; 4) or determine that there is some underlying medical or psychological condition which is contributing to what you consider to be your pet’s undesirable behavior. Do not allow your DOG to RUN AT LARGE. Allowing your dog to run at large is illegal in Marshall County and in the cities inside the county, not to mention incredibly dangerous. While you may think your dog does not roam far and is quick enough to avoid being hit by a car or a large truck, thousands of dogs die on our roadways every year and the people who own them simply do not know what happened to them. Dogs running at large often scare young children and traumatize people without meaning to do so. Keep your dog contained in your house or in a large fenced area to keep them safe and to keep our community safe.